Let's Stamp! : New Starter Kit! New Starter Kit just £99! Stampin' Up! have re-launched the Starter Kit. Now for just £99 you can have £130 worth of gorgeous Stampin' Up! goodies plus all that you need to become a demonstrator! With the new, flexible Starter Kit, you can customise your kit - your way! Each kit contains a business supplies pack (valued at £45 )—things that every demonstrator needs to start her business. After that, the choice is yours. You can choose up to £130 worth of any supplies to create a kit valued at over £175 that still ships for free! Stampin' Up! offers lots of incentives and reward programs for their demonstrators but if that's not for you, and you just want a great discount, then you can still order the kit! There is no requirement for you to host workshops or take it any further if you don't want to. If you do, however, I am here to support you all the way. And if that wasn't enough join Stampin’ Up! 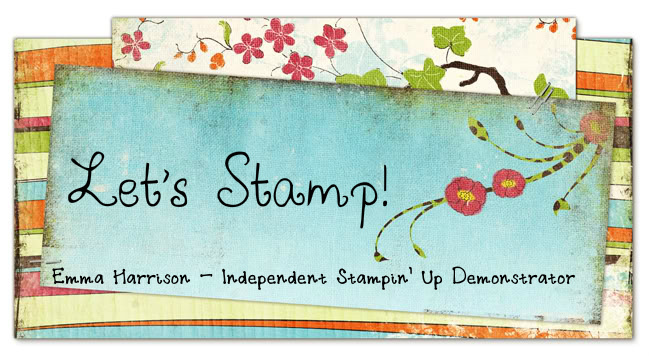 during May and you will receive FREE Registration for this years Stampin’ Up! Convention held 2-3 November in Mainz, Germany, worth an amazing £149! I went to the London Convention a couple of years ago and had a blast. It's a wonderful chance to meet up with other demos, do a bit of crafting and just have a whale of a time.